Now that the VCE joint coalition has announced their new CEO they launched the acadia.com website with a blog. The Acadia proposition is interesting as a joint approach to delivering private cloud infrastructure – this sort of pre-packaged solutions offering with good vendor support is a welcome addition to the industry, but other than tighter links to the product vendors I’m not sure what more they bring to the table over a traditional VAR. As an aside, I worked on a very similar concept in 2008 for my current employer, although on a much smaller scale – we built a repeatable private cloud stack around a set of well-understood technologies. I have deployed it a number of times and as a professional services organisation I have seen 1st hand how this base template approach has helped accelerate not only the pre-sales and design process but also the delivery of actual infrastructure to the end-customer – particularly when working to build infrastructure for a new solution where current metrics and sizing information just isn’t available. 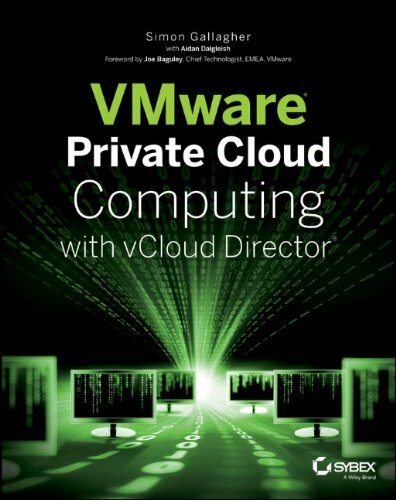 You can read my original thoughts about my work on a private cloud platform here – I do however think the VCE coalition has some way to go yet around it’s software licensing before it’s really workable on a true ‘pay as you go’ basis – rather than bundling everything up into a traditional commercial lease-purchase type agreement for hardware and software. I also have yet to see some more innovative commercial models for the procurement of the infrastructure itself – although the vBlock is designed to scale in a horizontal, modular fashion if you need to scale down how do you do that? the cost is “sunk” with the vendor/reseller and I can’t see them wanting to undo that traditional commercial model. I’ve seen IBM start to pioneer some mainframe pay as you go type commercial models down into the x86 space, where they ship you a fully loaded system and you pay for capacity that you use – this kind of works for vendors as they don’t have to pay margin to resellers and distribution if they can do it direct and it comes from their own factories at “cost” prices, a traditional VAR would find that this carries a significant financial risk so would usually seek to offset this via a contracted capacity and guaranteed capacity expansion. I wonder if this could be a key selling tool of the ACADIA proposition – at a guess I’d say EMC/VMware/Cisco still want to sell tin/software as a capital item and get it out of their warehouses and bank the outright sale but they have a stake in the ACADIA business, they are the shareholder(s). What if the ACADIA business were able to act as a financial intermediary – buying kit (hardware or software) from the VCE partners, levering volume and special pricing via its owners, handling logistics and leasing infrastructure out to the end-customer with professional services, rather than relying 100% on sales margin and professional/managed services revenue. if they were able to pull this off then I can see a significant advantage over the more traditional VAR’s but do VCE risk treading on the toes of their traditional partners, distribution and resellers? My current belief is that Cisco and EMC like using resellers because they are cheap. That is, some orders of magnitude cheaper than employing their own sales teams. Small companies have lower costs in a number of ways. Cisco and EMC love to have big profits, and outsourcing the sales cycle improves the bottom line by a lot. Not so good for the resellers though. I don’t think the current reseller model is viable, and ultimately, direct sales will return. Note I do not mention that resellers add value. At the large end, they don’t. In the middle market they have relationships that can be leveraged, and profitably so. The large companies help the reseller turnover so it all works out. In the meantime, they won’t rock the boat. Money talks. Acadia is all about the money and marketing and keeping resellers on side. Maybe if Cisco buys EMC, then expect a direct sales organisation to happen. @Simon – I tried to address some of the confusion/misperception about VCE Coalition vs. Acadia in the post below. Our experience with customers in terms of simplified sales/design/implementation seems to align with your experiences. What we’re seeing from existing customer and partners is a mix of consumption models and business models (with partners & service-providers) when Vblock is part of the overall solution. Since most aren’t chasing the lowest-cost VMs commodity model, there is less demand to deconstruction all of the existing licensing models. We do realize that this could change over time as customers expand the cloud infrastructure and have different needs than today.